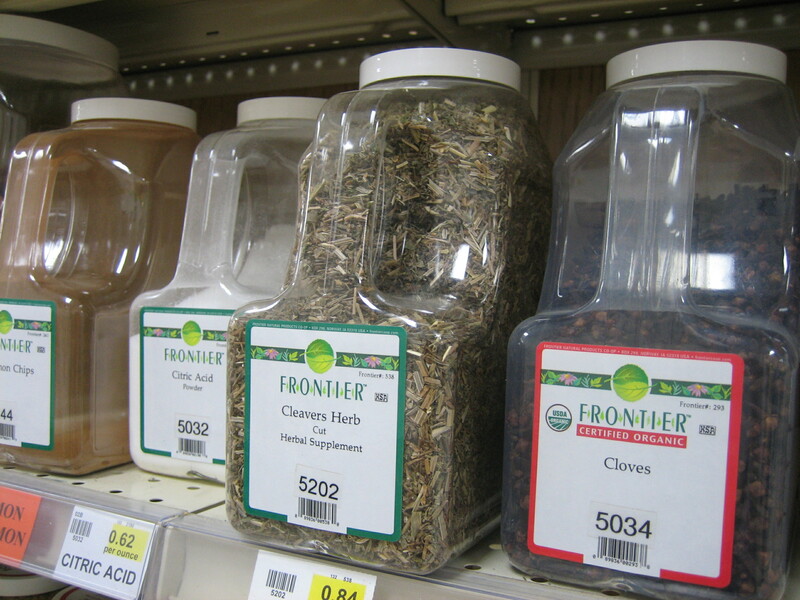 How much plastic and glass do you think we could save if we stopped buying spices? I’m not saying to not use spices, I’m saying what if we stopped buying them in the new plastic and glass jars each time we needed new ones , and refilled them instead? This was easier than I thought it would be. The trick: to find a store that sells products in bulk! I found one in Norfolk: The Heritage Store. There was also a tiny organic shop at the Virginia Beach Farmer’s Market that sold spices in bulk and allowed you to bring your own jars. Couldn’t find one in Georgia. Where have you found to refill? This entry was posted in Bulk and tagged buying in bulk, military spouse, militaryzerowaste, Seasonings, Spice, zero waste. Bookmark the permalink. we have a store up here called the Bulk Barn – its where I buy all spices/nuts/ingredients. Its great for low waste and cost savings – and even if you use clear plastic bags to buy the products, they are recycleable. This is the whole premise behind in.gredients.com, a grocery that opened in Austin last year. Why not refill your own pantry container with spices, legumes, grains, and the like? I think it’s a great idea! We kinda do this. When I get a spice, knowing it will take me a while to get through a small bottle, I split it with my mom. Two-fer. I always buy in bulk and put in my little glass jars, and I share spices I think I won’t use up. I also grow herbs every year. I like to buy a lot of whole spices and grind them – whole spices will last for years and years without deteriorating. Also, I never throw away spices and herbs just because they’re older – so many chefs say they’re no good after six months – which is ridiculous since most are only harvested once a year…funny that so many things and practices that are “cheap” are also better for the environment! Oh I spent some of my Saturday dusting the spice (and tea) shelves at the local coop in Sydney! I’ve bought a lot of spice sachets, cause they works well to hang on my pantry door. But I’ll now refill existing ones with the co-op’s bulk supply for sure! You gals make my heart sing.